Super Savings Item! 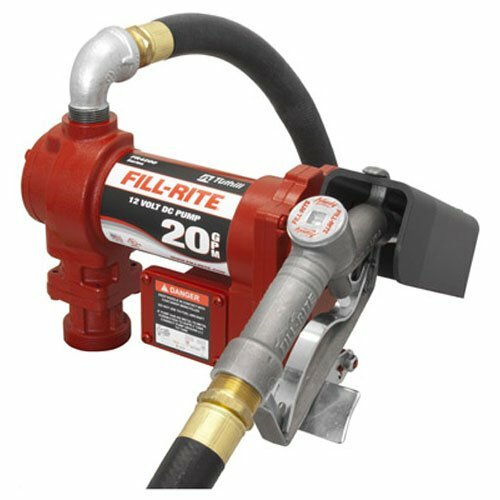 Save 39% on the Fill-Rite FR4210G Fuel Transfer Pump, Telescoping Suction Pipe, 12' Delivery Hose, Manual Release Nozzle - 12 Volt, 20 GPM by Fill-Rite at Lazaranda Dallas. MPN: FR4210D. Hurry! Limited time offer. Offer valid only while supplies last. DC motor with a flow rate of 20 GPM and 22 amp draw. Built-in check valve and bypass valve. 1'' diameter, 12' hose and 1'' manual nozzle.